OBU offers the following scholarships for transfer students. If you have questions, please contact your Transfer Admissions Counselor, Christina Roach, at (405) 585-5000 or christina.roach@okbu.edu. Or check out our transfer student FAQ below. A: Learn more about our housing. A: All University housing units come complete with air conditioning, carpet, cable television, high-speed internet access, telephone service, and laundry facilities. On-campus students have an OBU mailbox. OBU has several computer labs open for student use and printing is free! 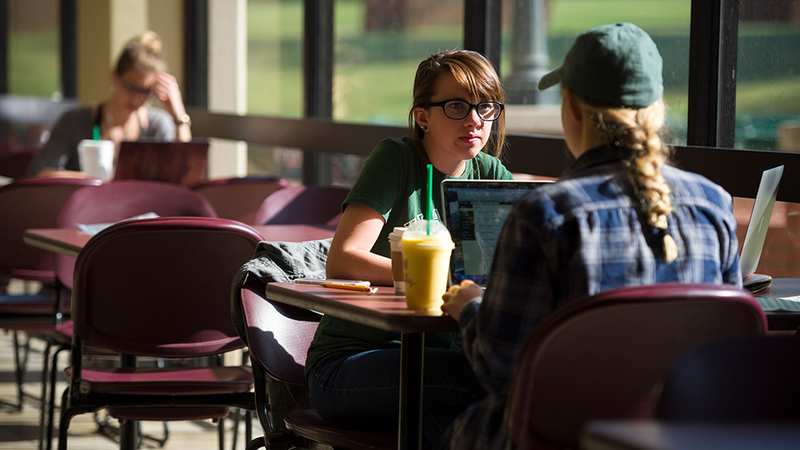 Wireless internet access is also available in many locations on campus. A: We suggest a campus visit. While we know the importance of your credits transferring and availability of scholarships are very important factors as you consider schools, we also realize that you need to find a school where you feel a fit. Schedule a campus visit to spend a day in our environment. You can visit a class, meet with a faculty member in your major area, attend a chapel, check out housing options, and eat in the cafeteria. We hope you'll find that our small class size, Christian atmosphere, and close community will be a great fit for you!